Following a very successful high school career at Thomas Jefferson HIgh School in Cedar Rapids, Iowa, Larry Lawrence went on to play at Miami (Florida) and Iowa. Lawrence first came to the CFL in 1970 with the Calgary Stampeders and served as a backup to jerry Keeling that year. Lawrence was released by Calgary and signed with Edmonton in 1971. The Eskimos were not a great team in the early 70s and it was not a great year for Lawrence who threw 18 interceptions and only 3 touchdowns. It seemed that Lawrence's football career was over as at age 22, he was tending bar in Montreal. 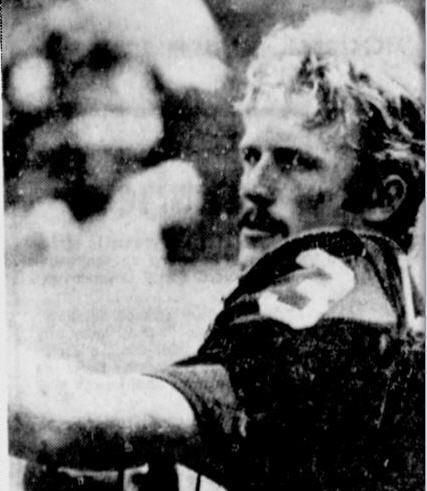 After two years out of football, howeer, Lawrence returned to the game with the Oakland Raiders where he was a backup quarterback for two seasons (1974-75). 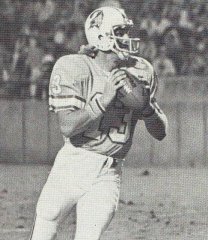 Lawrence would then spend one season (1976) with the expansion Tampa Bay buccaneers. Lawrence made a brief return to the CFL in 1978, playing three games for the Montreal Alouettes. After that, he had a tryout with PIttsburgh, but was released after just a coupleof weeks. Larry Lawrence passed away on December 4, 2012.